Will Scottish Independence Break Up Britain? RICHARD WYN JONES, Cardiff University. Presented by CIPS, the Security Studies Network (SSN), the School of Political Studies and the Chaire de recherche sur la francophonie et les politiques publiques. The ‘Break-up of Britain’ has long been predicted. Since 1997 a major programme of constitutional reform has seen the establishment of powerful devolved parliaments for Scotland, Wales and Northern Ireland and on the 18th of September the people of Scotland will vote in a referendum on Scottish independence. Are the various prophecies/warnings about the break up of one of the world’s most successful sovereign state finally about to be fulfilled? Richard Wyn Jones will cast his eye over the referendum campaign and the latest polls whilst locating developments in Scotland in the context of broader changes in constitutional attitudes and patterns of national identity across the Britain as a whole. 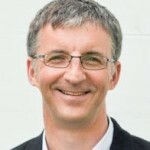 Richard Wyn Jones is Director of the Wales Governance Centre at Cardiff University, having previously worked as Professor of Welsh Politics and founding Director of the Institute of Welsh Politics at the Department of International Politics, Aberystwyth University. He has written extensively on contemporary Welsh politics, devolved politics in the UK and nationalism. He has Directed a number of Referendum and Election Surveys in Wales, is co-founder of the Future of England Survey and is Chair of the Advisory Board for the Scottish Independence Referendum Survey. In addition, Richard was one of the founders of Critical Security Studies. Read Richard Wyn Jones’s CIPS Policy Brief on this subject.